Emerging cloud companies face being squeezed out of the market as providers continue to opt automatically for established brand names, often ignoring the needs of their customers. This reluctance of cloud suppliers to look away from bigger partners is also making the technology unnecessarily expensive and complex for many businesses, IT services aggregator Streamwire has suggested. The discussion follows new research from the Cloud Industry Forum (CIF) on the attitudes of cloud users toward their own adoption of the technology. The group questioned 250 senior IT and business decision-makers - all of whom represent enterprises, small to medium-sized businesses (SMBs) and public sector organisations with operations in the UK - and found that 37% of cloud users think their own deployment could have been cheaper and easier. Moreover, 38% cited complexity of migration as the biggest difficulty of cloud adoption, suggesting a need for more transparency and simpler on-boarding processes – two things the CIF has long pushed for. When asked about the impact these challenges have had on their organisations, a third cited delays in deployment, 28% reported a drop in employee productivity and 19% said they’d seen a decline in customer confidence or loyalty. The main problem was that most cloud providers are continuing to reach for standard applications from their familiar partners, even though cheaper and more suitable solutions are available from smaller and more innovative companies. 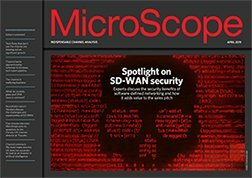 Streamwire CEO Anne Stokes argued that there was a lot to be gained from delving deeper into the market in search of innovation: “Many IT service providers still believe that they need to resell or recommend branded solutions, but the advent of cloud has stripped away establishment providers like never before." Adding to this, George Petri, managing director of SymVolli, and a strategic partner of Streamwire, suggested many providers were failing to put their customers first: “Not enough care is taken to understand the customer’s business before deciding on a solution and this only guarantees delays and extra cost further down the line." “A lot of cloud is sold off-the-shelf and while there are areas that can be commoditised in this way, when it comes to migration and integration, suppliers need to take much greater care," he said. While there’s no question of the productivity benefits offered up by cloud-based technology, Petri believed the processes IT bosses have to go through before they could harness its full power had to be made simpler. “By looking for the best in innovative solutions rather than just for a common brand, suppliers can help cloud delivery be far more effective,” he said.